Keep this list handy. If you’re ever dealing with a lost cat, it can be a life-saver. Have you ever had your cat go missing from your house? If so, you know how terrified and helpless this can make you feel and you want to find your lost cat right away. You don’t know if they’re simply hiding outside in the yard, gone exploring, or if they’ve encountered a predator. Often, the first reaction is to go searching for your cat with no real plan of action. We walk around the neighborhood (or drive) continually calling out our furry friend’s name. We find ourselves spending many hours searching areas and using methods that may not reunite them with us. For some, we simply choose to wait a couple of days to see if our cat returns home. This is perhaps the worst thing we can do. The longer a cat is gone, the further it could stray and the more danger the cat can encounter. I work with clients regularly on missing cats. While I’ve had a great deal of success in reuniting many missing cats with their families, it’s unfortunately impossible to always guarantee a positive outcome. Based on my experience, I’ve listed several suggestions that have worked extremely well over the years. If followed promptly, and implemented exactly as listed, you will have a greater opportunity to become reunited with your missing cat. 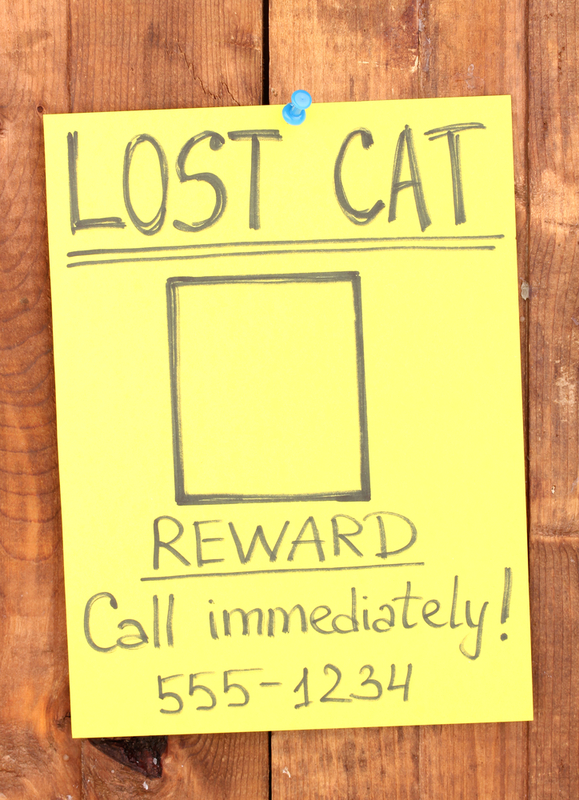 Create a laminated “lost cat” sign that contains the word “REWARD” at the top, a recent color photo of the animal in the center of the sign, and the phone number to contact if the animal is seen or found by someone. It’s very important not to list any other details. Use a large enough sign that it can be seen by drivers in their cars. Laminating the sign will protect it from adverse weather conditions. Post the sign around the neighborhood, at local veterinarian’s offices, at the county animal control shelter, and at local animal rescue shelters. If you live in a major city with a lot of restaurants nearby, provide each restaurant with the “lost cat” sign or flier. After all, your cat will find food wherever it is convenient. If your cat is microchipped, contact the company (e.g. Avid, Home Again) to ensure that they have your current information on file in case someone contacts them about finding your cat. 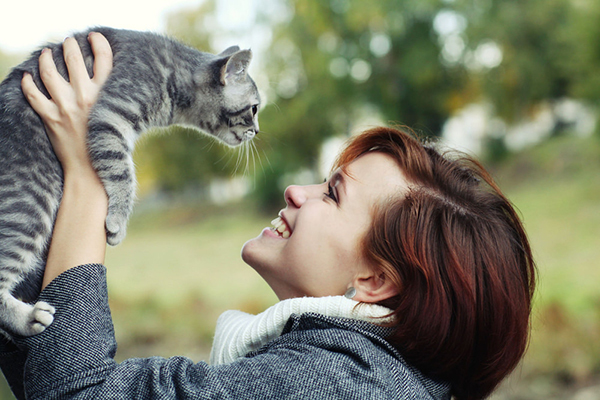 Visit the local county animal control shelter and local animal rescue shelters daily to see if your cat is there. The shelters have so many volunteers, employees, and staff on hand, on any given day, that unless you talk to each of them they may not know that you are looking for your missing cat. Also, if you search animal shelter websites for your missing cat, don’t narrow your search by a specific breed. Sometimes, if the person entering the information on the shelter’s website isn’t sure of the cat’s breed, they may list it incorrectly. Place a “lost pet” ad in your local newspaper and on websites such as Petfinder and your local Craigslist. Include the same information that you have on the “lost cat” sign. Also, post it on social media sites such as Facebook and Twitter, if you have them. If not, perhaps a friend in the area does. Check “found pet” ads in the local newspaper, on local county rescue shelter web sites, Petfinder, and on your local Craigslist. Again (as stated in No. 5 above), don’t limit your search to a particular breed. Canvass a three-block radius around your neighborhood from your home. 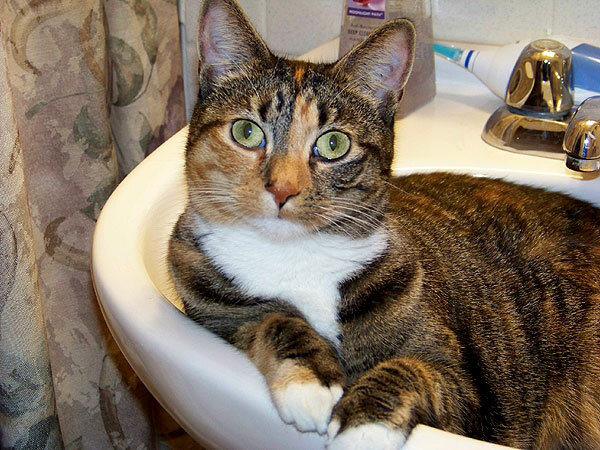 It is important to knock on doors and talk to your neighbors so they are aware that your cat is missing. If they aren’t home, leave a flier (not in the mailbox because that’s illegal). Unless you see your cat during your search, please do not call for them while you are searching your neighborhood. The reason for this is if they do happen to hear you, you would be gone by the time they get to where you were when you called for them. Instead, either call for them from the front yard or backyard of your home or, if you do look for them by car, look silently. Be sure and look up in the trees. I have had several instances where the missing cat has been chased up into a tree and is fearful to come down. 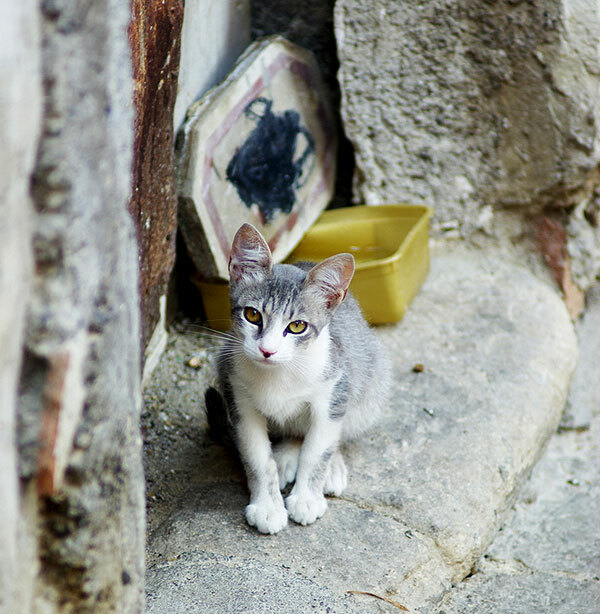 Set a humane cat trap in a safe area near the exterior of your home (e.g. front porch, deck, back porch) and cover the back and sides with a towel or blanket that has your scent or your cat’s scent on it. Check on the trap frequently throughout the night, but do it discretely, so as not to scare your cat away. Put a bowl of fresh soft cat food, tuna, or sardines and water in the enclosure to lure the cat in. You may catch other animals as well, but you might also catch your own cat. If you do happen to catch other animals, release them from the trap while you are standing at the back of the trap. They will generally run away very quickly and not look back. NOTE: It is important to put food only inside the trap. Don’t put food out anywhere else. If they can get food without going into the trap, they will. 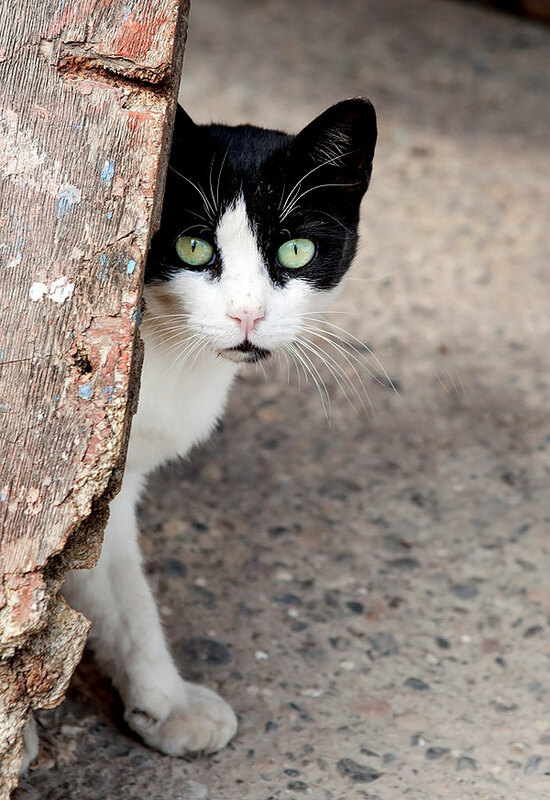 If you live in a neighborhood that has a homeowner’s association, contact one of the board members and ask them to post your cat’s information on the neighborhood website and to send out an email to everyone in the neighborhood asking that you be called if someone sees your cat. Actively keep searching for your lost cat no matter how much time has elapsed. Lost animals can turn up weeks, and sometimes months or years after they’ve been lost. Provide a “lost cat” flier to drivers with regular routes in the area and ask them to contact you if they see your missing cat. This includes mail carriers, trash collectors, school bus drivers, and delivery truck drivers (e.g. FedEx, UPS, etc.). Maintain a positive attitude about the outcome of your search. Cats are very resourceful when it comes to finding food, water, and shelter. While it’s human nature to assume the worst has happened, don’t. Negative energy can block positive results. Have you ever lost a cat? What did you do to get your missing cat back? Let us know in the comments!